While disastrous sinkholes are relatively rare, recent sinkholes that have opened up locally in The Villages® community and around the state, have many homeowners wondering: Does my insurance cover that? While in most states, that answer is no, in Florida, home insurance providers are required to offer coverage for “catastrophic ground cover collapse”, which covers the insured if his or her home or property is damaged due to a sinkhole, and to offer additional separate coverage for other sinkhole damage. The insured structure being condemned and ordered to be vacated by the government agency authorized by law to issue such an order for that structure. In other words, if a sinkhole swallows your home or part of your home outright, you should be compensated with a typical home insurance policy. Beyond that, things can get confusing, and in some cases, nightmarish scenarios have played out for policyholders and providers alike. Because of recent changes in Florida statutes, structural damage which is not as severe has been largely written out of insurance claims. It’s prudent to talk with your insurance agent to determine if you are covered against sinkhole damage, and if any optional coverage is available. If you do have sinkhole coverage, don’t drop it without consulting your attorney. When do I call for help? While stair-step cracks and cracks in floors and foundations are often caused by routine settling of homes, damage from an actual sinkhole may be as minor as a cracked sidewalk or as large as a swallowed home, (such as the headline-grabbing sinkhole that opened up outside of Tampa and resulted in loss of life). Actually, as much as 99 percent of “sinkholes” are not actually holes. Repairing a sinkhole house typically costs more than $100,000 and if not handled correctly can impact the value of your home. Property insurance issues can be highly complex. Homeowners who are worried about their coverage should first go over it with their insurer. It is also very helpful to have one of our BCN attorneys take a look at it it. We know the relevant laws and how claims are filed. The time spent could save you a lot of money down the road. Once problems or concerns arise, you want to consult with a BCN Law Firm attorney who understands not only the legal aspects of these cases, but also the technical aspects of them. An attorney who is experienced in property law can go to your house, look at it with you and help you consider your options. Sometimes it’s better to make a claim – other times not. 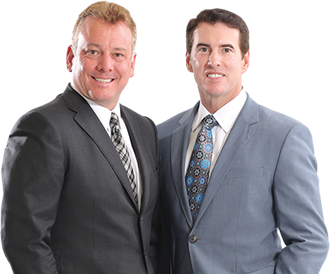 The initial consultation with a BCN Attorney knowledgeable about sinkholes is free, so there’s no reason not to include one of our attorneys on your team. Then, should you have a claim later on, your attorney will be at your side to ensure you are treated and compensated fairly.